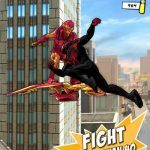 New iOS action title Mix+Smash: Marvel Super Hero Mashers is arguably one of the most unique Marvel mobile games out there. 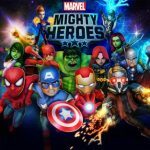 The game, which is made by Disney, invites players to mash up, battle, and smash-up as you harness the power of Marvel superheroes such as Captain America, Groot, the Incredible Hulk, Spider-Man, and more. 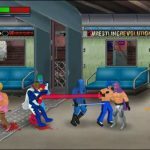 You can also battle “remixed” super villains like Dr. Octopus and Ultron, fight evil robots, and mash your favorite heroes up. That’s the main mechanic of that game – you can head to the MixLab and combine your heroes’ appearance, abilities, and powers to create your ultimate champion. You’ve really got to give it to Disney for making a game that’s different from your average Marvel-based title. 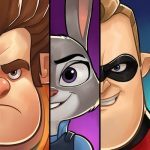 Since this is quite a unique game, we’re here to offer some useful Mix+Smash: Marvel Super Hero Mashers cheats, tips and tricks to help you mash up for an “ultimate champion” and go far with this character. Not your head, but that of your mashed-up superhero. If your character is equipped with the head that matches with the chapter you’re playing, you’ll get an all-important passive bonus of 25 percent damage. Here’s a simple example of how this works – you’ll want to equip Hulk’s head in the first chapter, which features the Hulk and robots. This is a game that rewards your quickness, and when we say that, we mean tapping as fast as you could in certain areas. Yes, it’s going to be tiring, but if those fingers keep moving, you’ll deal out even more damage. Just be sure to tap at a more controlled, ideally slower pace when you’re going on the defense. All heroes come with three attributes – Strength, Health, and Special. Strength will determine the amount of damage in your normal attacks. Health is self-explanatory – that’s your maximum health points. Lastly, Special pertains to the damage of your special move. Keep mixing and keep smashing until you can get the desired stats for your hero. Replaying previous levels, or grinding, is a nice and easy way to earn points and money easily in many a mobile game. In this title, you can indeed grind, or retry previously completed levels, albeit at a higher difficulty. This would make enemies harder to defeat, but you will in turn be rewarded with more gold and more medals. As you need to accumulate a specific number of medals to unlock the next chapter, grinding is indeed essential to success in this game. There are a couple techniques you can use in order to restore your health, or maintain good health during a battle. First, you can use your coins to purchase pizzas (yes, pizzas), as these will allow you to regain some health points while in battle. You also have the choice to use more Hulk parts – as the Hulk is a much bigger, burlier superhero than most, his parts can give your mashed-up hero more HPs. As an aside, it’s best to play in the easier difficulty levels so you can earn more coins.